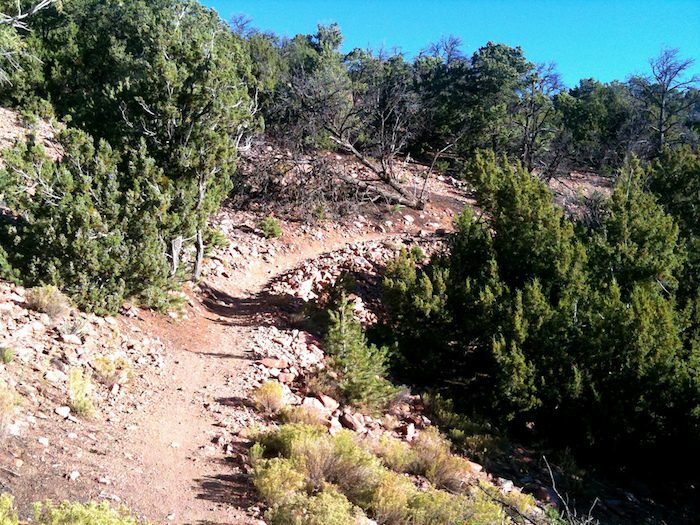 The Dale Ball Trails are a good taste of Santa Fe’s trails — located in the foothills just a couple of miles from downtown. The system includes 24 miles of trails, some of which might be considered technical for inexperienced trail runners, but runners of all skill sets can piece together a loop for their ability level on these well marked, easy to follow single track paths. The main trailhead, known as the Dale Ball Corral, is accessed from the Santa Fe Ski Basin road (Hyde Park Rd or State Road 475), and it a good starting point for a loop on the North, Central, or South sections of trail. The paths to the west (like the loop running over Sierra del Norte) are the most noteworthy in terms of scenery, winding through stands of pinon and juniper while looking out on some spectacular vistas. A bus runs from downtown to the ski area, or you can park at the trailhead.